News and views from your councillors. After the May elections I am glad to continue representing Horfield as your Conservative Councillor. In addition to this role I was delighted to be invited to be part of the new Mayor's cabinet with responsibility for Education and Skills. This role has taken me on an exciting journey looking at how we best serve our young people in the city. I am working in partnership with all the Bristol schools and colleges to ensure we provide great opportunities in work experience, apprenticeships and access to further education. I am particularly pleased to be able to continue working with Orchard School and have enjoyed visiting both Upper Horfield and Filton Ave children's centres. I was pleased to be able to visit our newly refurbished Horfield Leisure centre and urge everyone to go and try out some of the new fitness facilities and classes. It was great to hear that they also are keen to recruit local staff and have some brilliant career and training opportunities on offer. If you are interested please check out their website at www.everyoneactive.com. Locally, I have been supporting residents with the continual issues around parking near the Southmead hospital site and some of the recent proposals on Bus stop upgrades. Working closely with our MP Charlotte Leslie, we will continue to support the Manor Farm Community Hub group and will be meeting with officers from the council to progress the development of the site around the old St Peters elderly persons home on Bishopthorpe Road. 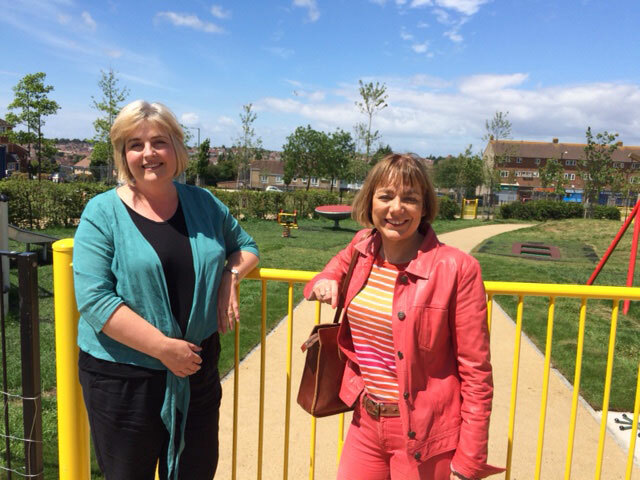 Estella and I were delighted to be re-elected as your Labour councillors in May. Under the new Mayor, Marvin Rees, Estella has also been appointed to the role of Deputy Mayor. We look forward to continuing our work with residents and neighbourhood organisations to improve our area. There are lots of positive things going on in Lockleaze and this new magazine will be a great way of keeping everyone up to date with community events and local news. Our immediate priorities include getting the derelict pub on Gainsborough Square sorted out, and also the building of more homes on the empty brownfield sites in the area. The new Cabinet member for Housing, Cllr Paul Smith has already visited Lockleaze and begun work with local housing associations and developers to make sure affordable housing is on its way. Other projects we have been involved in include the redesign and rebuild of the Vench adventure playground, in time for the summer holidays. On July 9th we had a community consultation day to come up with ideas and priorities for Stoke Park… new cafe and toilet facilities, Arts in the Park, a local history book, more volunteering opportunities , nature and wildlife education/conservation, play areas, all came up and we hope to see progress on these ideas in the near future. A recent addition to Stoke Park has been the excellent new Sculpture Trail, maps are now available to guide you to the tucked-away animal tree carvings designed by local groups, another great activity for the school summer holidays! Out of the sadness of the closure of Eastville Library came the good news that South Lockleaze and Purdown (SLAP) residents groups have taken on the building as a community centre, ‘The Old Library’, providing room hire and lots of activities for all ages. A cafe and outdoor play area are soon to be developed,and the team are always grateful for more volunteers to help run the building. There is also a new library facility, with computer suite, recently opened in the Cameron Centre. We have been delighted to see local schools doing so well. Recently we enjoyed a great drama performance at the Bristol Old Vic Theatre, by pupils from Stoke Park Primary School. There is a wealth of talent amongst Lockleaze young people for dance, drama and singing and we are working towards improving local facilities for the performing arts.